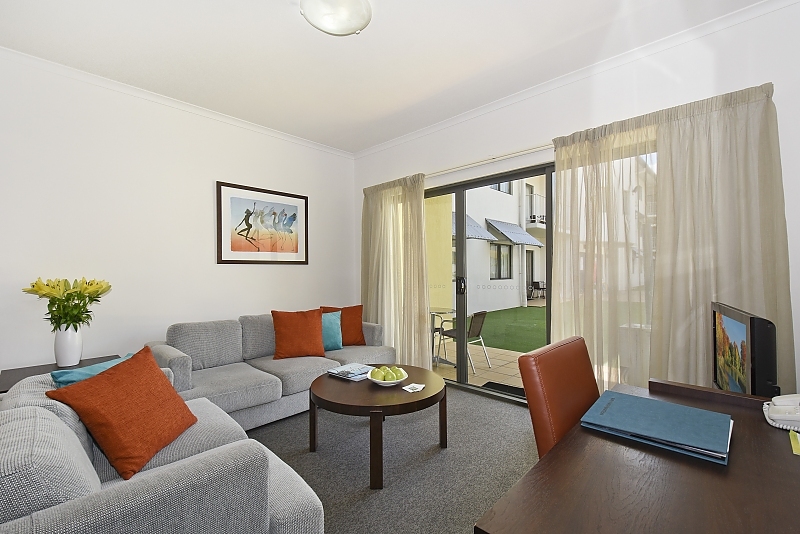 All our 1 Bedroom apartments offer spacious living room and separate bedrooms, fully equipped kitchen (hot plates, oven, microwave and full sized fridge) and private laundry facilities. 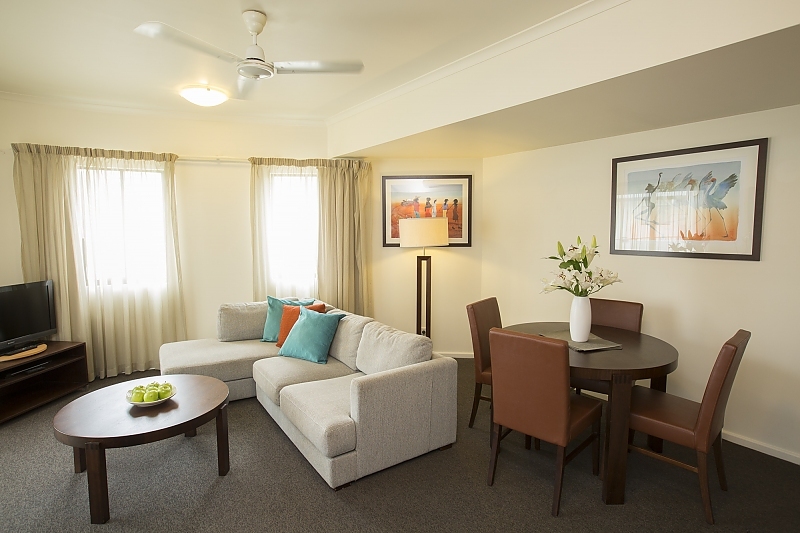 With all the comforts of home, these apartments are suitable for extended stays. 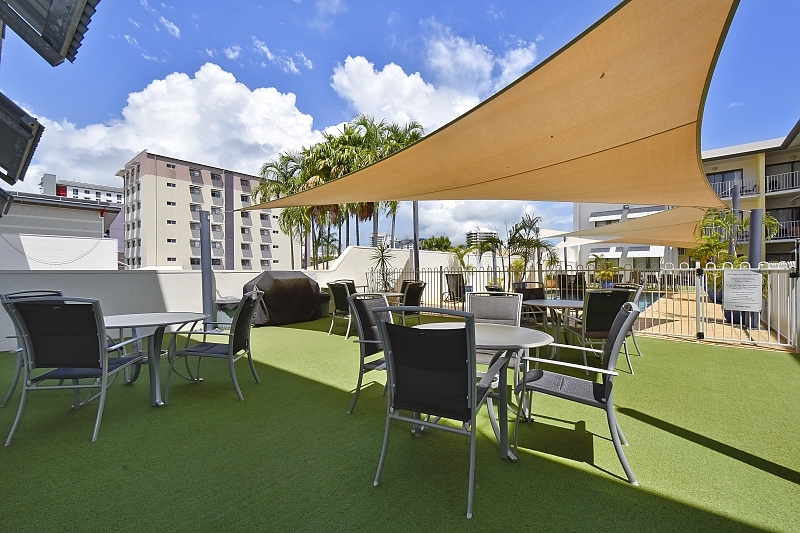 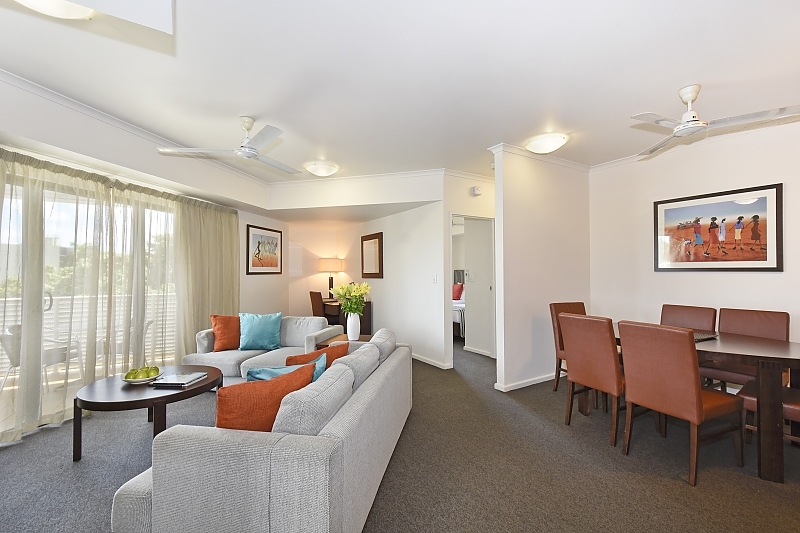 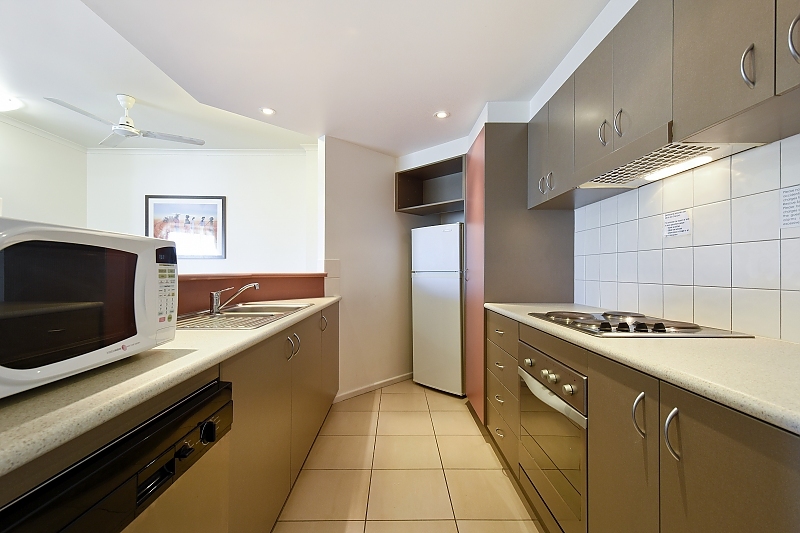 The apartments also have a balcony, air conditioning, ceiling fans, TV, Foxtel and complimentary high speed Wifi. 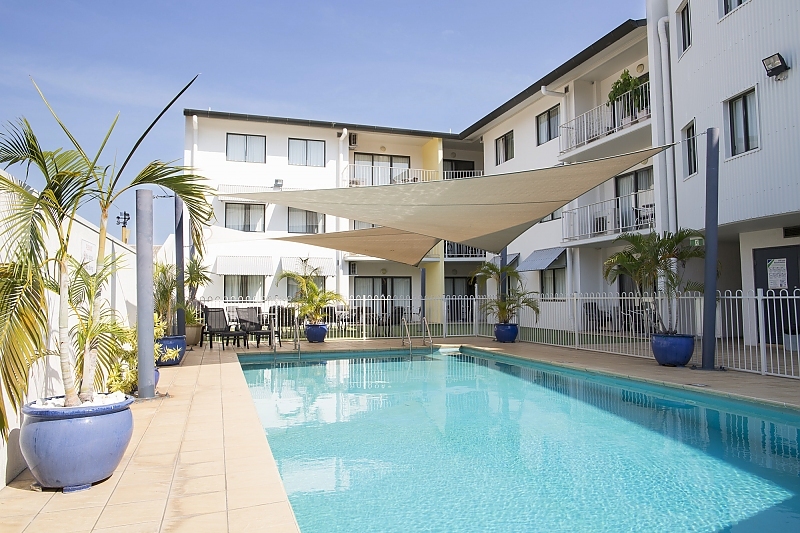 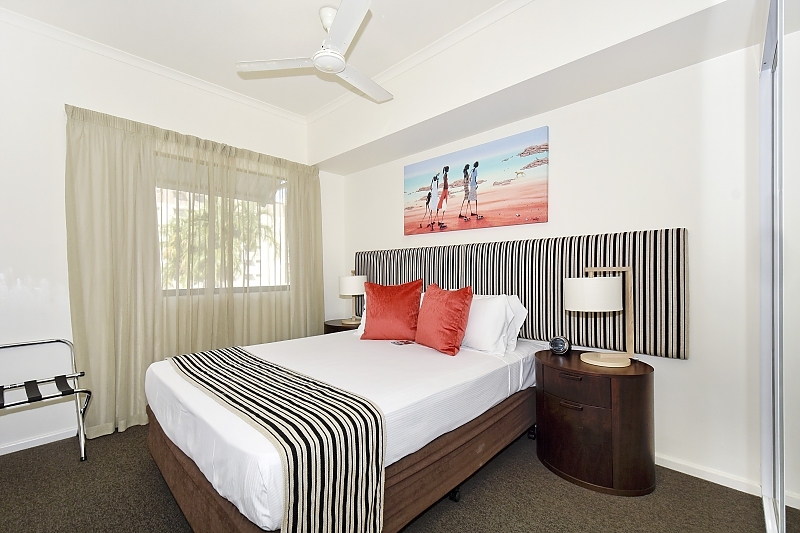 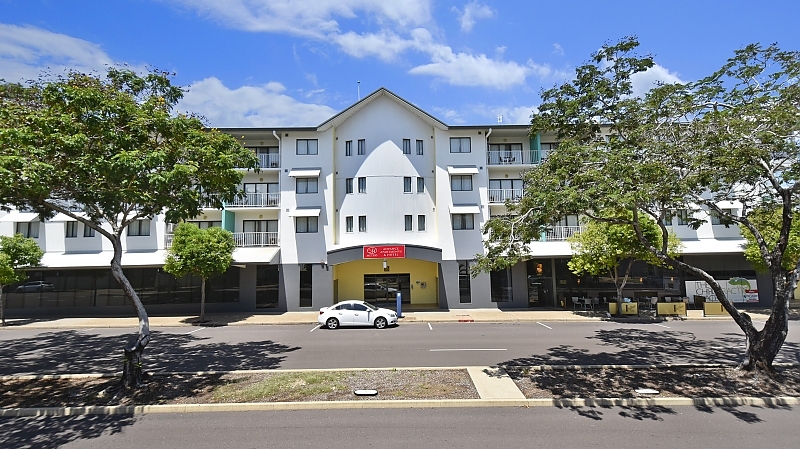 Whether it's for holiday adventure in the Top End, a few days of meet and greets or weeks of contract work, you'll find it hard to match the comfort and service that we can provide during your stay in one of our fully serviced apartments. 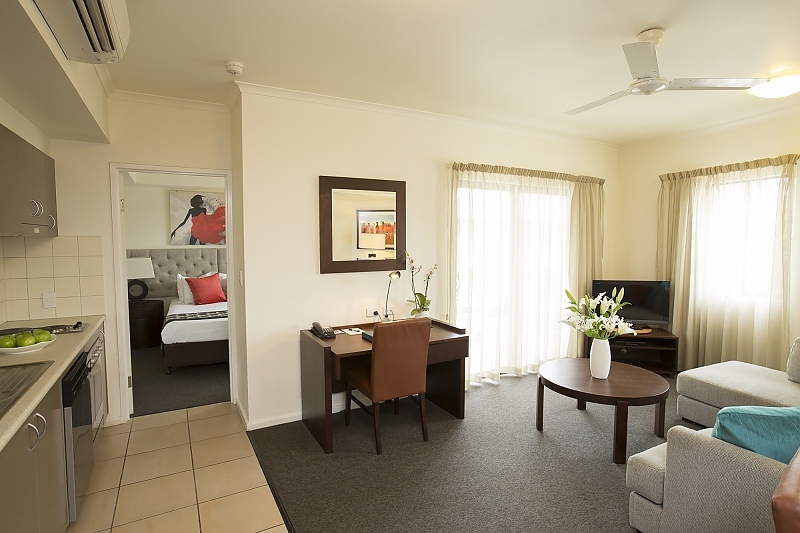 Our distinctive range of serviced Studios and Apartments offer spacious, air conditioned living spaces to make your stay just that much more comfortable. 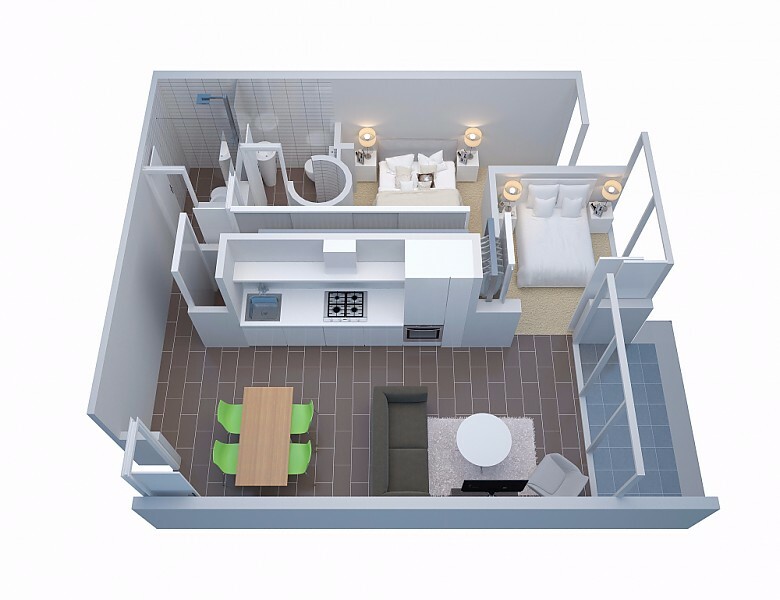 With layouts designed to provide maximum comfort you can work, cook or just relax. 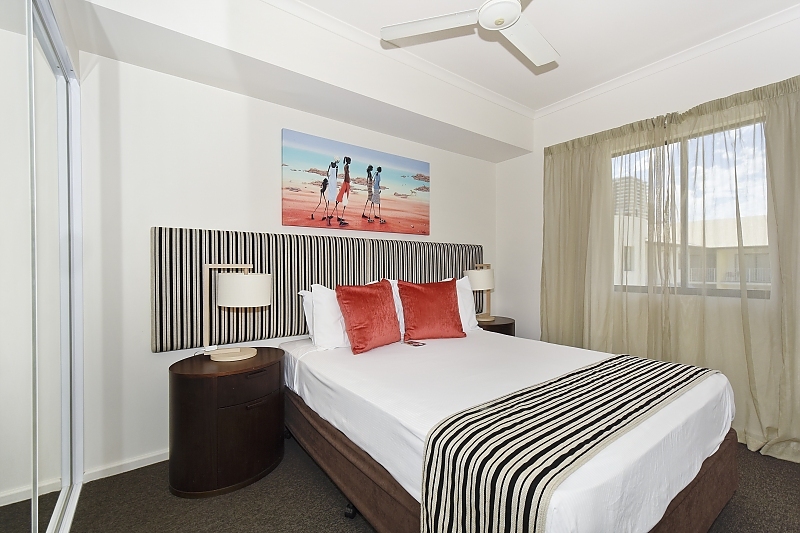 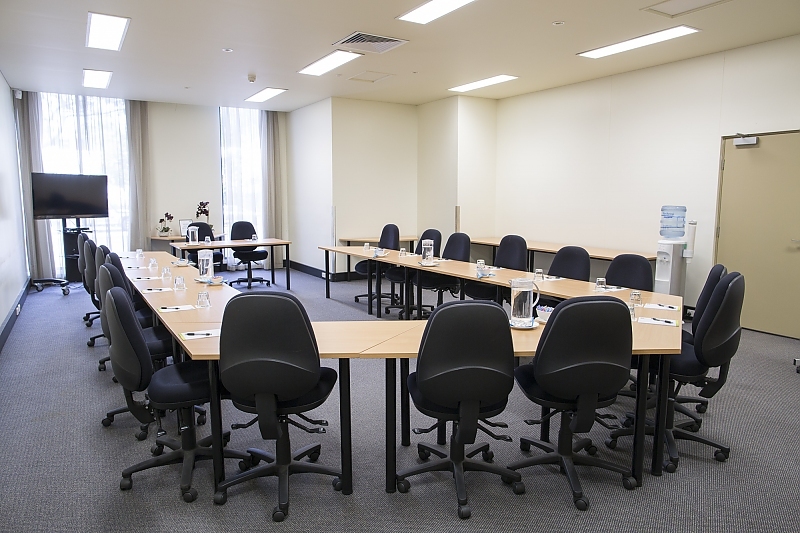 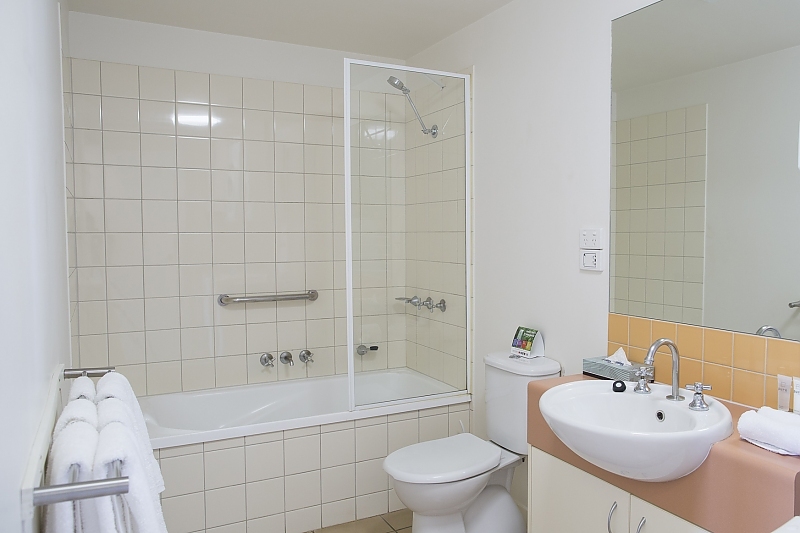 Free wifi throughout, Foxtel in all rooms, laundry facilities and secure covered parking.